When I wrote my first article with tips for Geneva job hunters, Sylvie Meynier pointed out on Facebook that volunteering can effectively help you find a job. As the co-founder of Interactions, an association different from any other you have seen in Geneva, she knows full well how volunteering is a way of showcasing your skills and expanding your network - two important ingredients in a good job search strategy. 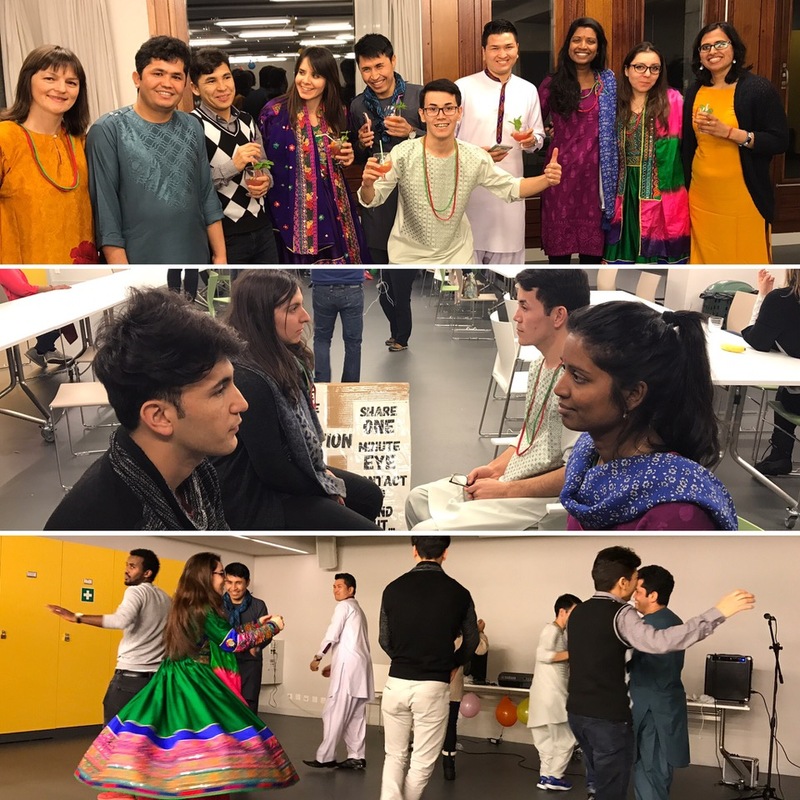 From weekly conversation events and knowledge-sharing workshops to a film project, a cuisine lab, and the Refugee Cultural Festival, Interactions offers the opportunity for everyone in Geneva to celebrate their skills and learn from each other. Bonjour Geneva: Tell us about Interactions. I suspect your work as talent developer and dream facilitator (love that title by the way) at your own practice influenced the approach you adopted when creating the association. Sylvie Meynier: Interactions is a group of people who are enthusiastic about helping and supporting each other by learning from each other and working together. The idea came as a response to the services the city offers to people who feel or are vulnerable, which treats beneficiaries as passive subjects. We believe everyone is on the same level. Maybe you need help with something, but you can also help others with something else. The idea is to share knowledge and also to try and have the greatest possible diversity: people with the status of asylum seekers, expats, locals, people who speak English, or French, or neither [laughs]. Whether you work at a bank, or not at all, it doesn’t matter. We see what you like, what you want to learn and do it together. BG: How would you say that volunteering can help international women who are looking for a job in Geneva. Do you have concrete examples? Sylvie: Volunteering is the best way to expand your network. 80% of the time, you will find a job through your network. Sometimes people mistake this for using people, but that’s not what I mean. It’s actually about providing value and showing your skills. If you choose a cause that you care for, volunteering will bring you joy. You will use your skills and learn new ones and meet new people. And someone in your network will know someone who has a job for you. We have volunteers who are getting job interviews now when they had not been shortlisted for an interview in years. Some people got internships or actually found a job after volunteering with us! Volunteering is also a way of discovering what you like and what you don’t like, something that is important when you go for an interview. We create a safe environment where you won’t feel judged and you’ll be able to regain confidence. BG: What are the opportunities for people who are interested in Interactions? We will have our General Assembly on September 13 (info here) to decide together on our projects for this coming year: music, theater, dance, meaningful conversation, language support, mentoring, etc. Come and tell us what skills you would like to share or which project you would like to support. You can of course always come along as a participant a couple of times, and then we will see the best way to bring you on board!